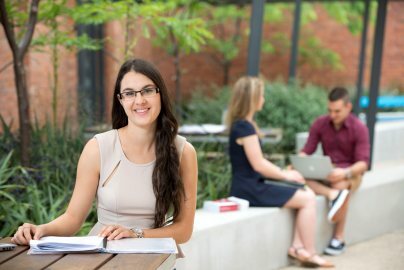 Study Bachelor of Laws (Honours) at the University of South Australia (UniSA). Information for International students. Graduate with a professional law honours degree and an advanced understanding of key legal principles, processes and methods. Develop strong skills in analysis, reasoning, advocacy, negotiation and communication to resolve complex legal problems. Get involved with our student-run Legal Advice Clinic and provide advice to real clients under the supervision of a managing solicitor. Gain a competitive edge by pairing law with another UniSA discipline and graduate with two degrees. Learn from researchers who are recognised as performing above world standard in Law3. Join our active UniSA Law Students Association (USALSA) - benefit from a like-minded community and participate in a variety of social and networking events. Prepare for a dynamic career in law with our professional law honours degree. From your very first weeks as a student you'll do practical law courses and see what it's like to argue a case and provide legal advice. You’ll gain valuable skills that you can apply in reasoning, reporting, analysis, negotiation, communication and advocacy to resolve complex legal problems. You will be involved in mock-trials in our Moot Court, learning what it’s like to act as an advocate and present before a judge. You will also be guided to reach your potential and become career ready, with opportunities for overseas placements as well as local and national internships and clerkships. In your final year, you will also choose from an industry or clinic placement, a law reform project or high-level research to complete the honours component of your degree. 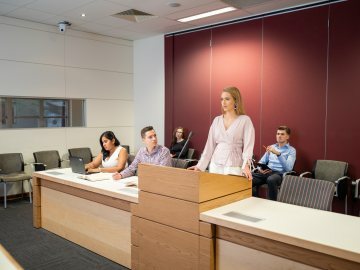 During this degree you will study courses that teach you the fundamental legal principles and concepts that underpin the Australian legal system. Courses such as torts, contracts, criminal law and constitutional law will give you a good understanding of the basic legal principles. Through practical learning experiences including mooting, negotiation, witness examination and the opportunity to undertake placement in a professional setting, you will be prepared for legal practice upon graduation. 1. In addition to completion of the core courses, students must complete a combination of two of the capstone courses i.e. 18 units of study. 2. Students who wish to undertake a Pharmaceutical Science/Law elective option choice are required to select 4 Pharmacy and 4 Law elective courses from the Pharmaceutical Science/Law electives listing. Relevant pre-requisites must be met. 3. All students in the School of Law who, as part of a course, undertake activities where interaction with clients/the public/an external organisation are required, such as industry placements or clinical placement, must demonstrate that they have a current National Police Clearance, which is valid for the duration of the course. External placement providers may also require a current National Criminal History Record Check (Child-Related Clearance) from the Department for Communities and Social Inclusion (DCSI), which is valid for the duration of the course. The National Police Check will list disclosable court outcomes that may prevent clinical placement/industry placement involvement, requiring withdrawal from the course. 1. This course contributes towards the honours grade for the program. 2. Non Law Electives may be used to complete a Language study option. You will graduate with professional honours and an advanced understanding of legal principles and methods including the opportunity to experience an industry or clinic placement, undertake a law reform project or conduct high level research in your final year. In our Legal Advice Clinic you’ll gain valuable experience, solving the legal problems of real clients under the guidance of a managing solicitor. We offer more than 100 degree combinations with law so you can specialise in two fields and expand your career prospects. In addition to our law double degrees, you could pair the Bachelor of Laws (Honours) with any other UniSA discipline and tailor your qualification to your career interests. For information about the application process, submit an enquiry. Our Business Career Mentor Program also pairs you with an experienced legal professional, helping you to build your network and career. The six-month program runs from March every year. There are other pathways you can follow to study this degree. An alternative entry option is available through the Foundation Studies program with UniSA College or Diploma of Business subject to Grade Point Average (GPA) requirements. You could also consider the Bachelor of Business (Legal Studies). Technology has certainly streamlined many aspects of the legal industry, traditional career paths and law firm structures are much more dynamic than they once were. It’s important to build transferable skills that are difficult to teach – that is, a willingness to work hard, the ability to lead by example, as well as a desire to learn and give everything a go. My advice is to remain true to your professional core values and skills, but don’t be afraid to embrace change. It’s also important to continue upskilling once you start your career. Consider all options and possible pathways to achieving your goal – in the modern business world, there are so many opportunities and ways of taking your career to the next level. 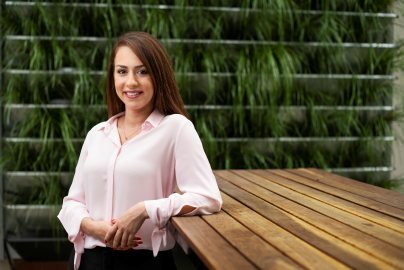 "My studies helped me secure a professional role at WRP Legal & Advisor by allowing me to develop transferrable skills such as communication, time management and analytical thinking. 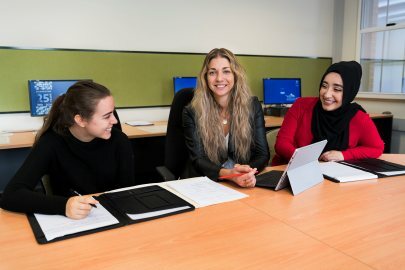 Plus the support network between staff and students is great and the flexible timetable allows you to create your own personal study program that fits in with your life."